UNISON has reacted angrily to Edinburgh Council’s announcement of 1,200 job cuts over four years. The union has slammed the ‘dressing up’ of cuts as part of so-called new ways of working. 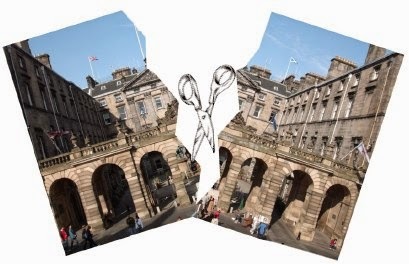 UNISON Edinburgh branch president John Stevenson, said: “These job cuts have come as a body blow to workers who have been struggling for years to maintain front line services despite cut after cut. Dressing this up as new ways of working cannot disguise the reality of cuts to front line jobs and services. “UNISON will hold the council to its no compulsory redundancy pledge. But if people take go voluntarily, we have to speak up for the staff left behind. In many areas where people directly serve the public we are seeing increased levels of stress. A loss of a further 1,200 jobs will only make this worse as people are again asked to do more with less. Branch secretary Amanda Kerr added: “At least half of the posts being cut are front line staff delivering direct services. Two per cent of front line service delivery posts will be cut along with 500 front line team leaders and specialist posts. These are not managers sitting in offices, these are people directly providing services. “We also concerned that the report leaves the door open for back-door privatisation and hints at challenging the council’s no compulsory redundancy pledge. “We have some sympathy for the council because it is cuts from Holyrood and Westminster that are causing the problem. 40,000 jobs have been lost across Scottish councils. If that had been any other employer, politicians would have been queuing up to demand action and a rescue plan. The least that councillors can do is stand up for services and not pretend they can go on cutting and cutting. They should publish a budget that shows what services could look like if these cuts were not being forced.